What's the best country for cycling? France with the Alps, Pyrenees and Mont Ventoux? Italy with its rolling hills, stunning lakes, the Stelvio and Dolomites? Or here in the UK? Leading tour operator Sportive Breaks think some of the best routes and climbs in the world are right here on our doorstep, and have launched a series of British guided cycling weekends to showcase the fantastic cycling in regions across the UK. "Every year we run cycling trips to all corners of Europe and a lot of our riders have been all over the globe - but so few people have explored our own country," says Phil Sears, director at Sportive Breaks. To help us Brits discover the best cycling regions in the UK, they have launched a series of eight weekend breaks from March to October. 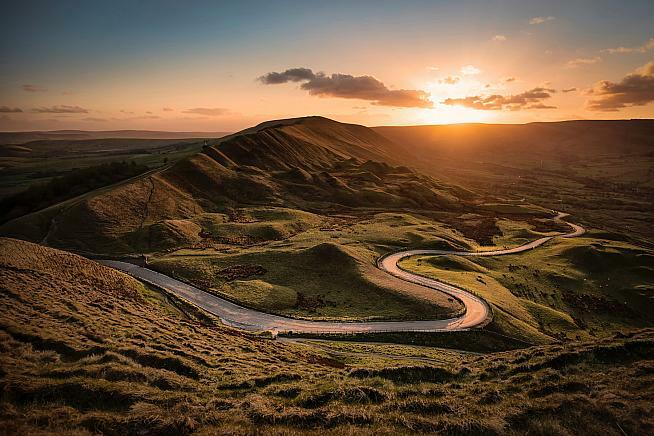 These range from a Devon Coast to Coast ride taking in Dartmoor and Exmoor to a Pennines & Dales Weekender featuring some climbs as stunning as anywhere in the world, including Great Dun Fell and Buttertubs Pass. The Peak District Weekender runs from 13-14 July 2019. The cycling breaks are designed to escape the city and explore new routes into the national parks and rural regions of the UK. Each weekend trip starts on Saturday morning at a convenient meeting point with a maximum group size of 32, before heading into the hills. The evening is spent at a local pub or family run hotel in a small village and everyone has dinner together before a second ride on the Sunday heading back to the start town. Rides are on average 130km featuring two or three classic climbs. All the rides are fully supported with Sportive Breaks' usual team of expert ride guides, mechanics, support vehicles and regular feed stations. Highlights of the Best of British breaks include Gold Hill on the South Coast Weekender, the sharp cobbled climb from the Hovis ad, Dunkery Beacon on the Devon Coast to Coast ride, a stunning 6km slope from the coast to Exmoor, and Bwlch-Y-Groes on the North Wales Weekender, the highest tarmacked road in Wales and a favourite of Geraint Thomas. Discover the full range of UK cycling weekends at sportivebreaks.com.